More than two years after Kraft Foods’ controversial takeover of Cadbury, the woman at the helm believes fears have been allayed. Business leaders, workers and lovers of the traditional Birmingham chocolate maker feared the worst when US giant Kraft targeted and successfully took over the firm in an £11 billion-plus deal in 2010. 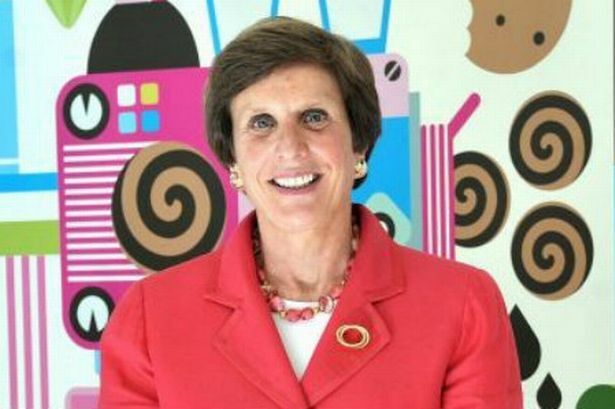 Since then, however, Kraft Foods chief executive Irene Rosenfeld has announced £130 million of investment in the UK operation – close to half of which is destined for Bournville – and, despite some job losses through efficiency savings, the firm made the historic Birmingham plant the global centre of excellence for chocolate. In an exclusive interview with the Post, Ms Rosenfeld said Cadbury’s new parent group had come good on all of its promises and kept up a record for community involvement which began when the firm was founded in the city by Quakers more than a century ago. Meanwhile, the new status as a centre of excellence puts the Birmingham workforce at the heart of all sorts of sweet dilemmas – like creating cheaper products for emerging markets and chocolate that melts at higher temperatures for warmer parts of the world. Ms Rosenfeld said she did not feel pressure following in footsteps of the Cadbury family, who built the village of Bournville for its workers complete with schools, leisure facilities and parks and was among the first firms to make pension provisions. “That is what made it so magical. It is hardly a pressure – it is a privilege. It is a privilege to have the opportunity to be the stewards of an iconic brand like Cadbury,” she said. “The acquisition and integration of Cadbury has been everything we hoped it would be. Talking of the criticism the company has received in the media and from MPs, she added: “As the leader of a company I am very visible and if our company chooses to make courageous decisions it is inevitable that we will be talked about but at the end of the day actions speak louder than our words or their words. The Post reported in March that Kraft had invested £17 million into research and development, which will benefit its Bournville site and create 100 jobs. This built on the £50 million investment announced in December 2011 in manufacturing which included a state-of-the-art packaging line for Cadbury Dairy Milk. It has not been all plain sailing though, as the two-year proposals would mean 200 jobs being cut through redeployment and voluntary redundancies. But Ms Rosenfeld said the re-alignment of the business – which includes placing it in a new global snacks company called Mondelez International – had strengthened it, and a history of community activity had continued. She said: “I had the fabulous opportunity to have breakfast with colleagues from our organisation, and a number of them are leaders of the community, and they spoke about how proud they feel about the activities they are engaged with and, if anything, a lot of that community activity has been strengthened. As the global hub for chocolate research and development, Bournville has been at the heart of a series of innovations – not least its Dairy Milk Bubbly and Crispello products. Others inculde re-sealable chocolate wrappers and chocolate tablets that are always front-facing on the shelves for marketing purposes. Meanwhile, with plans to boost exports to the growing middle classes in countries like China, India and Brazil, work is taking place to develop cheaper products, like its Choclair which sells in the Far East. There is also work going on to make chocolate that can be eaten in the hotter parts of the world without melting in your hands. Ms Rosenfeld said: “We have to think about the way we manufacture – perhaps making products more resistant to heat and versions of our product which are more affordable. “We made a product called Choclair which we sell in China.